MAG Stock: MAG stocks a full line of Kawneer entrances and storefront systems, and sundry items. Please see our “MAG Kawneer Stock Listing” and "Sundry Stock Listing" sheets for further details. Fabrication / Assembly: Let MAG ship you a fabricated and assembled project right to your job site. You’ll save valuable time and money this way. Our complete fabrication facility includes punch presses, automated cutting, drill presses, and welding capabilities to fabricate most any project. 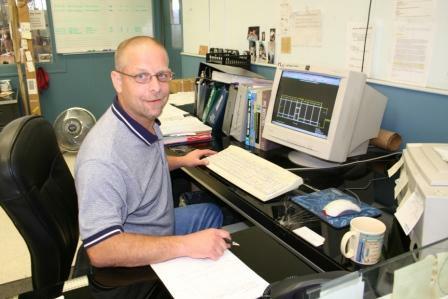 Quotations: Our architectural metal staff is available to provide written proposals for your projects. Most often, requests for standard products can be turned around in less than 48 hours. For your convenience, standard entrance and storefront framing quotation/order forms are linked here for you. Freight: Stock, fabricated, and assembled projects are shipped to you on MAG vehicles. This means no hidden freight charges on any stocked materials – delivery is part of our service to you. However, if custom or non-standard items are ordered or shipped directly to you, MAG will notify you of these charges.